Keryn James is the Group Chief Executive of Environmental Resources Management (ERM), the leading global provider of sustainability consulting. Over her 25 year tenure at ERM, Keryn has risen up the ranks from a junior consultant in Perth, Australia, to Managing Director of United Kingdom, Chief Executive Officer of Asia Pacific, and was appointed as Group Chief Executive in 2017. 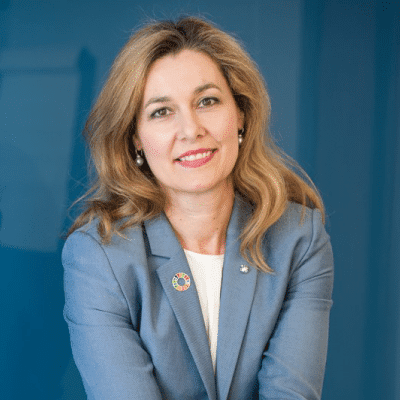 She was recognized by the World Business Council for Sustainable Development for her outstanding contribution to advancing sustainability in her company in 2018.